When the three immortals are placed in a room, they cleanse the home of negative influences, including arguments, marital problems and illness. This extremely powerful cure is a must for anyone looking to strengthen or enhance a relationship with their partner or children. 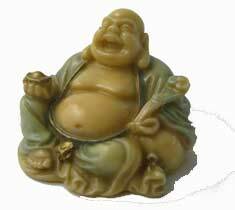 They look absolutely stunning with a lovely warm stature which is so important when using a Deity of this nature as it gives a much better energy as opposed to cheap plastic replicas. 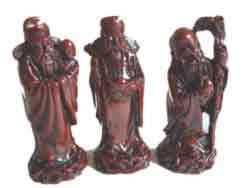 These painted Fuk, Luk & Sau are the gods of Wealth, Health and Longevity. 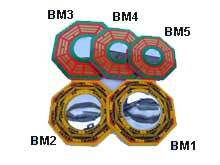 They represent the three most important aspects of good fortune, good health and happiness. 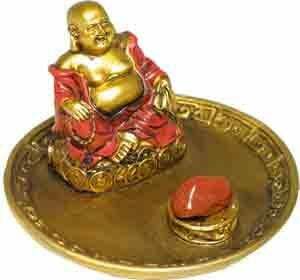 You can also place in your dining or living room to attract good fortune and health into your home. They should always be placed together in order shown in photo. 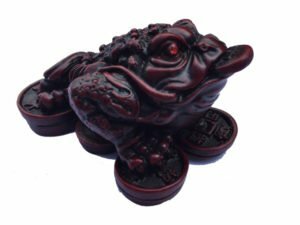 Made from Shou Shan stone and each one has been crafted in magnificent detail creating a beautiful cure. As of 4th February 2019, this cure should be placed in the southwest or northwest of your home or office or the southwest or northwest area of an important room like an office, bedroom, living room etc. Where do I place the Three immortals in 2019? 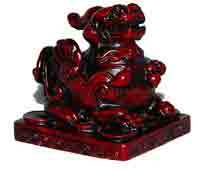 The Three immortals should be placed in the southwest or northwest of your home or office or southwest or northwest area of an important room. How do I display the Three immortals? When should I display the Three immortals?